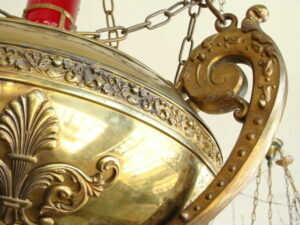 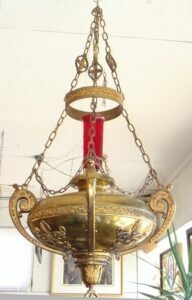 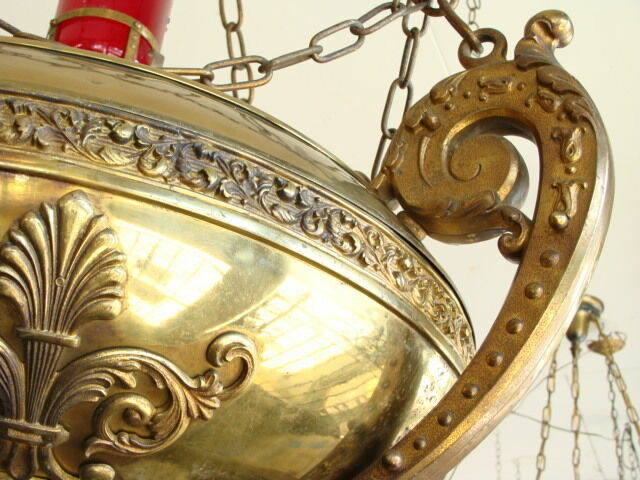 Very unusual and large scale brass candle holder. 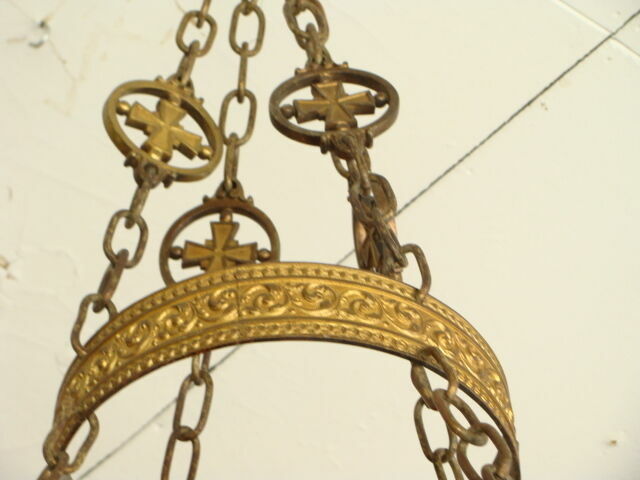 Crosses are shown on the bottom pendant, the top hangers and on the red shade. Definitely a cathedral piece, but would be a great focal point in a room. 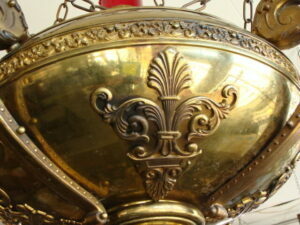 Solid brass is in very good condition. 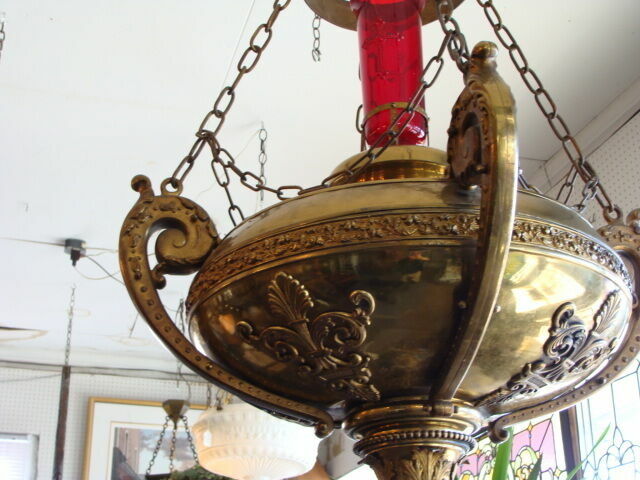 Red glass shade is in good condition, no cracks no chips. 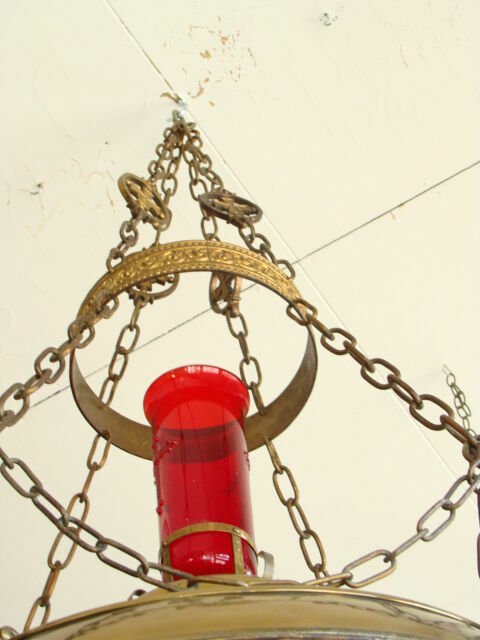 Dimensions on this piece are 51″ long x 36″ in diameter. Because of the large size, this piece may have to go special freight. 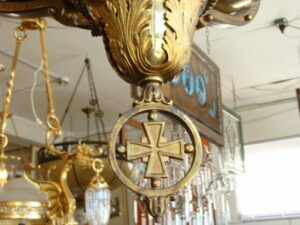 Please call us at (419) 473-3373 to discuss shipping options or if you have any other questions.